Looks like most of the new figure reveals will take place tomorrow. But for now, we have a few Saturday pics from the Hasbro Marvel booth at SDCC 2013. As stated in the Hasbro Marvel panel, 2014 Marvel Legends are tied into movies(with a blend of both comic and movie-based figures), in this case both of these figures tie into the Captain America 2: Winter Soldier movie. Read on to check out the new Cap and Baron Zemo! 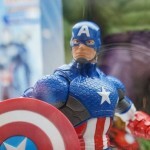 Here are some photos from Hasbro’s Marvel display during the San Diego Comic-Con 2013 Preview Night. 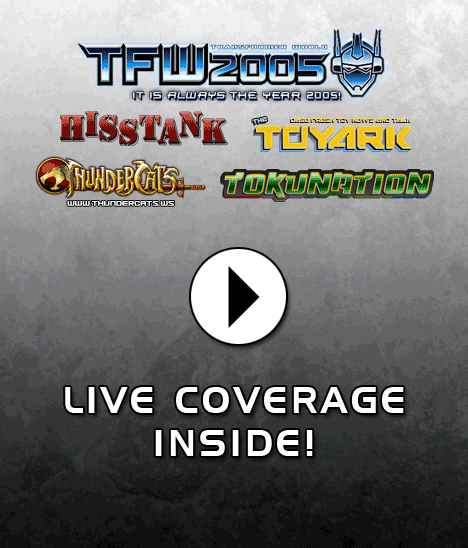 As of 12:08 Eastern time, Hasbro Toy Shop has added orders for the San Diego Comic Con Exclusives. 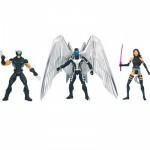 Within minutes, X-Force Legends and Masters of Evil set sold out. Congrats to all that were able to secure either of these sets! Fortunately, for all of you the SHIELD Helicarrier is still available! All exclusives are/were limited to one per person. Head over to Hasbro Toy Shop to lock in your order! More images can be seen by clicking the headline of the story. Discuss on the Toyark Forums› Views: 4406 › Credit: apocalypse, metalalchemist, Tarquinius and Soupy of the Toyark Forums! 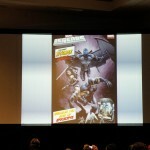 Check out clear in hand pics of Hasbro’s Marvel Universe Masters of Evil San Diego Comic Con 2012 3 Pack. Included are Baron Zemo, Radioactive Man, and Tiger Shark.